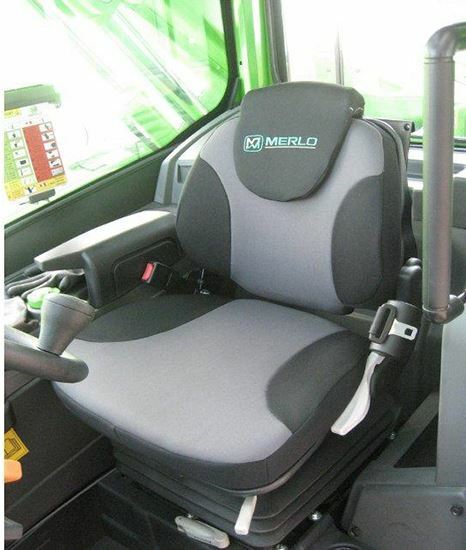 Suitable for most GRAMMER brand seats fitted to Merlo machines. Modern design for small tractors. Searching for replacement tractor parts and replacement farm machinery parts is a whole lot easier with Power Farming’s tractor and farm machinery parts website PARTS DIRECT. One of the most comprehensive of its type, PARTS DIRECT provides online access to thousands of agricultural replacement parts. PARTS DIRECT offers suitable OEM replacement parts for leading brands including John Deere, Massey Ferguson, Case IH, New Holland, Claas, FORD, SAME, Deutz Fahr, Kverneland, Vicon, Claas, Taarup, Pottinger, Simba, Great Plains, Kuhn and Maschio supplied overnight and freight free to most of the country. Our handy online ordering system will make your shopping experience fast and comfortable. That’s not all, Parts Direct provides a comprehensive range of Castrol Oils and lubricants and a vast range of other consumable products. Check us out, you will be impressed!